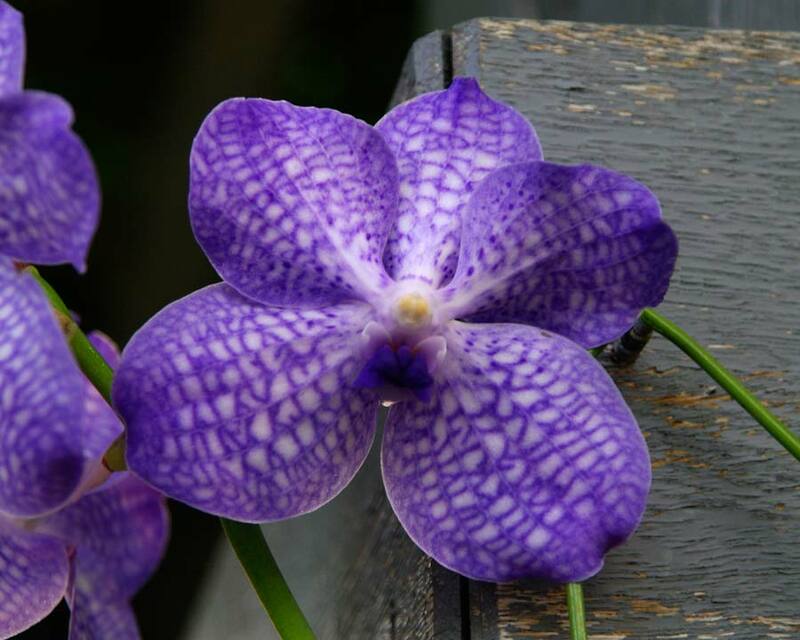 There are between 30-40 species of Vanda orchids which originate in the tropical areas from India through to SE Asia. Unfortunately, many of these species are now endangered due to over zealous plant collectors from the west, but we are lucky that so many new and exciting hybrids have been produced for us to enjoy. 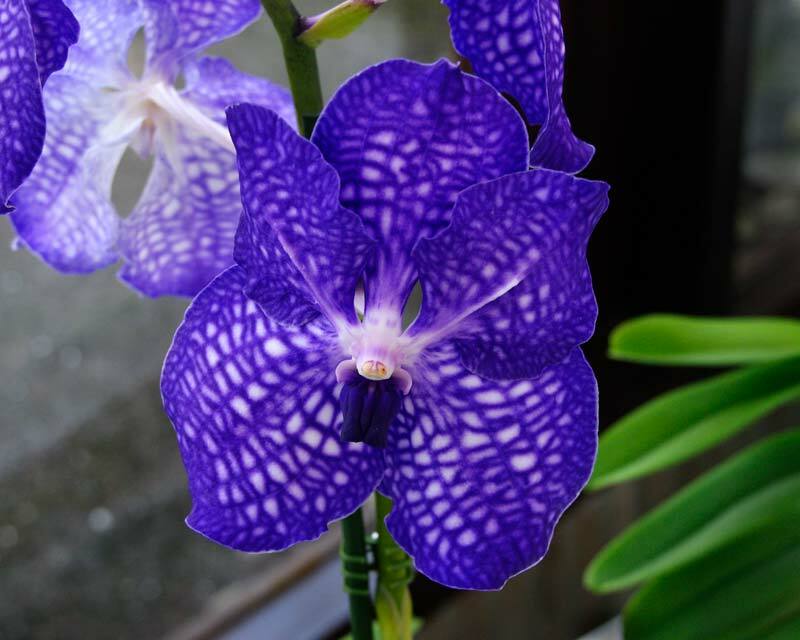 Vanda hybrids have been bred for their brightly coloured flowers of blue, purple or pink and sometimes white or yellow. 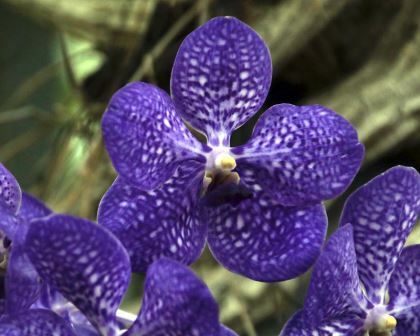 The flowers are regularly used in flower arranging because of their size, colour and longevity when cut. 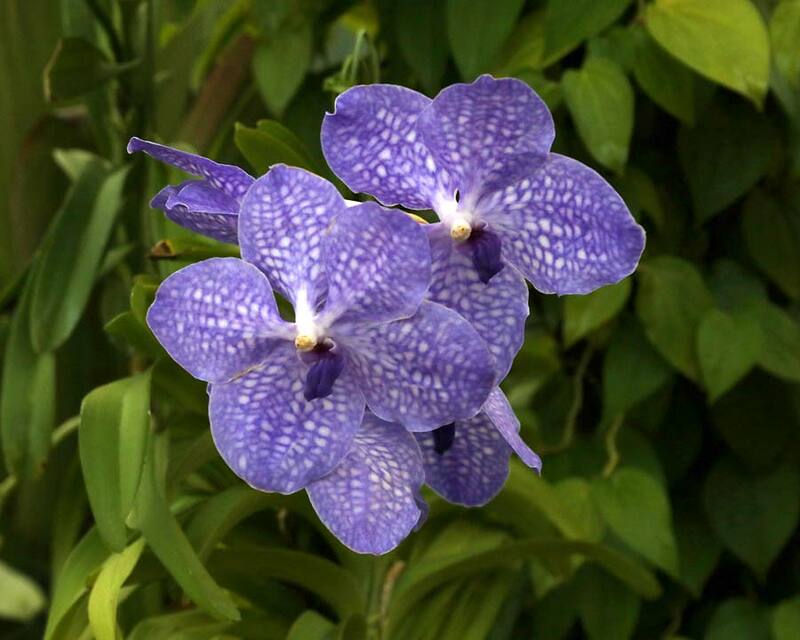 As with all orchids Vanda hybrids require bright light but not full sun, outside dappled shade is best and inside a bright room without direct sunlight. 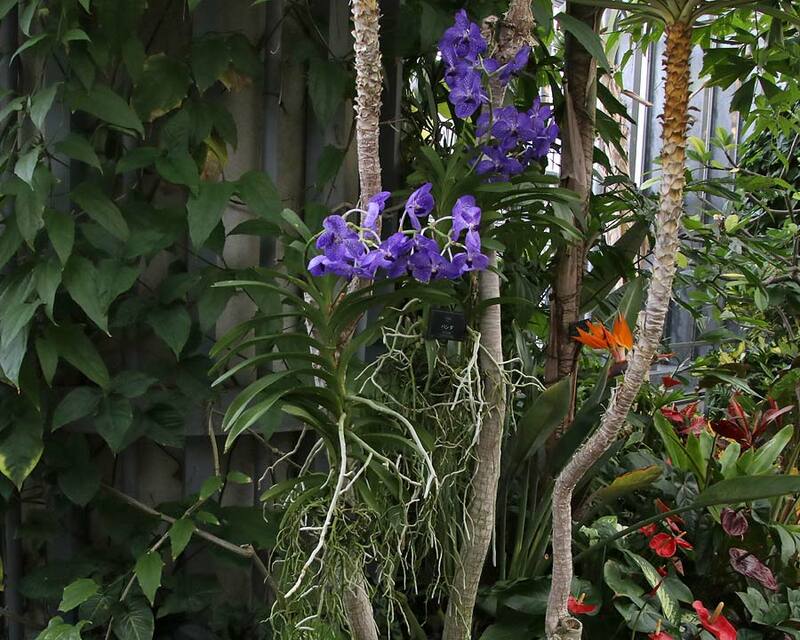 They have epiphytic roots that take moisture from the air. 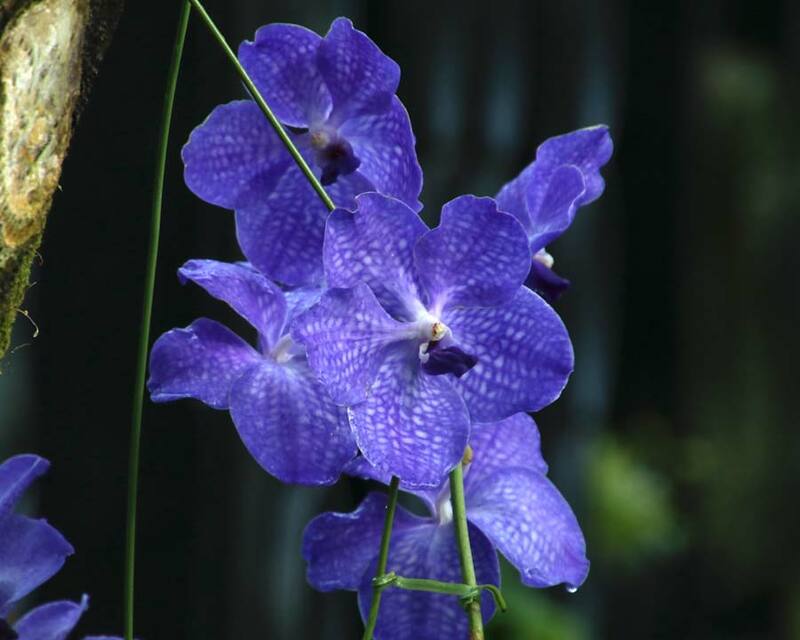 They can be grown outside in humid tropical condition and are commonly grown in hanging baskets. In cooler climates they cannot be grown outside but they have been successfully grown in green houses with warm humid conditions or as a houseplant providing special attention is taken maintain the humidity levels. Soil: Use a course bark potting mix. If growing outside in the tropics the aerial roots will take up moisture from the air so it is fine for the roots not to be fully covered. If growing inside the roots will need to be covered with the potting mix to ensure the roots do not dry out. 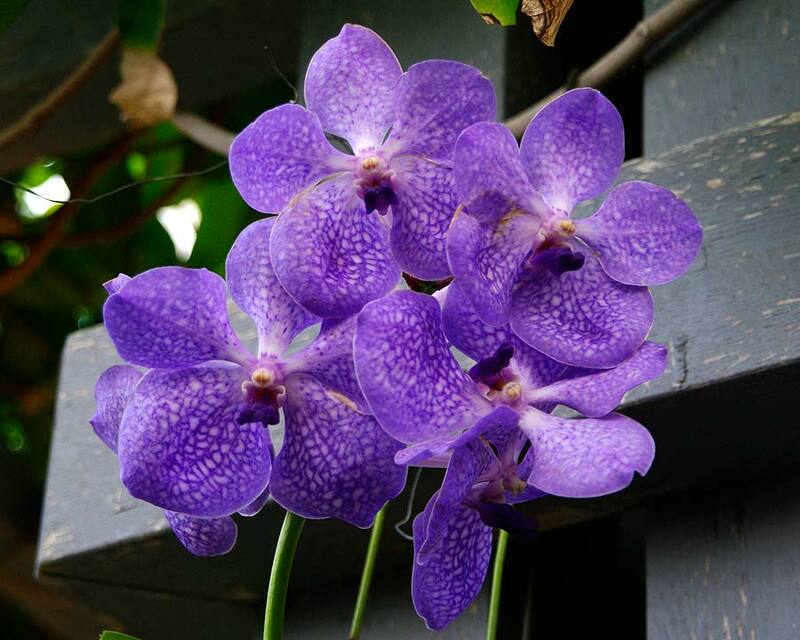 Maintenance: When planted outside in the tropics make sure they are watered and mist sprayed regularly and fertilise every couple of weeks with Orchid fertilisers. When growing inside, make sure that any roots exposed hanging outside the basket are mist sprayed daily during summer and 2-3 times a week in winter. If your plant is potted in bark chips then soak the pot once a week, allow the pot to drain as it is important that the roots dry out between waterings, the plant also benefits from a mist spray everyday. 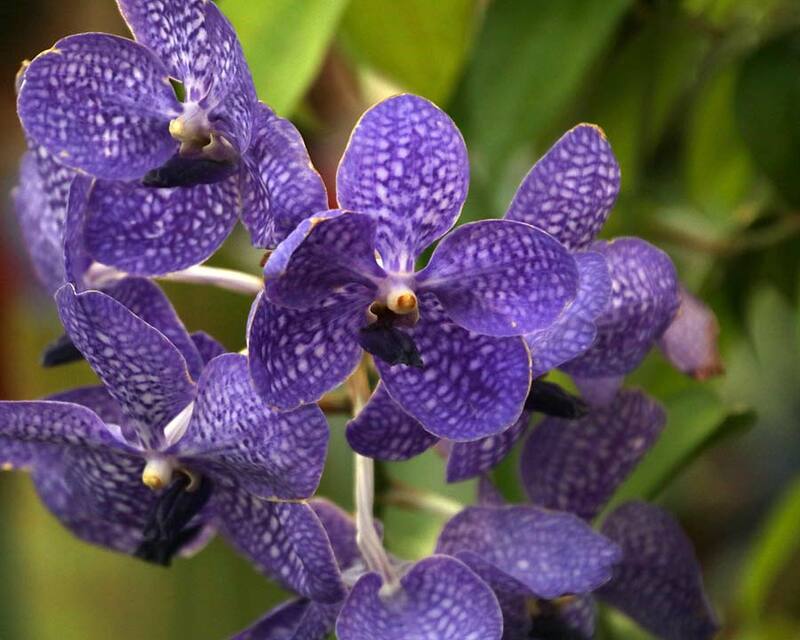 Diseases: Orchids suffer from various fungal diseases that can affect the leaves, flowers, pseudobulbs and roots. In most cases these can be minimised by improving the growing conditions, reduce watering and improve the air circulation. Remove and destroy infected tissue and in severe cases destroy the plant. Orchids can also be susceptible to aphids and other insects.